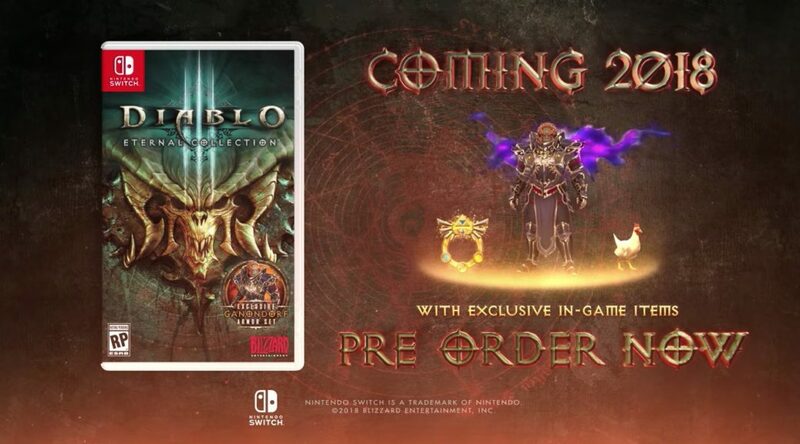 Today we have three pieces of news for Diablo III Eternal Collection, hitting Nintendo Switch later this year. First up, unlike other huge AAA titles, it’s confirmed Diablo III Eternal Collection will not require an additional download on the Nintendo eShop. This means the file size could be between 10GB and 15GB. Next, we’ve learned that Diablo III Eternal Collection can be played with a single Joy-Con. When playing with a single Joy-Con, players can roll by flicking the Joy-Con in a quick motion. Finally, Blizzard Entertainment confirmed voice chat will be supported in the game via the Nintendo Switch Online smartphone app.